Don’t just list your home without any advance preparation. A few minor touch-ups can go a long way towards making a favorable impression on potential buyers. Top priorities include getting rid of clutter, hiding family photos, cleaning out closets, removing excess or oversized furniture, and cleaning. 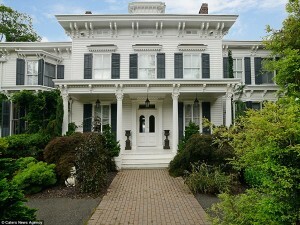 You cannot simply list your home on Zillow and Trulia and expect to sell it. A lot goes into selling a home besides just advertising. Realize that advertising will only get them in the door. Getting someone in the door doesn’t mean that they are going to buy your home. You must prepare before listing your home on the market. Here are some great ways that you can prepare ahead of time, so that you can sell your home faster.
. Pay attention to smells. If there are any, check for mold or any other causes. A home doesn’t smell for no reason. There usually is an underlying cause.
. Clear out the clutter. No one wants to see your kids’ toys all over the house, or a pile of laundry in the entryway. It isn’t attractive.
. Keep the décor simple. Do not have boldly painted walls, outdated wallpaper, or distracting accessories and furniture.
. Get rid of personal items. Take your prescriptions and medicines out of the bathroom closets. Take your toothbrushes and face wash off the bathroom counter.
. Let in natural light. Draw the drapes back. This is a big one.
. Add plants. Plants add life into a home. You’d be surprised at the difference some plants can make.
. Get rid of bulky furniture. This is a big one. Large pieces of furniture in small places not only makes a room look smaller, but it also doesn’t show buyers how the room can be used. If you’re lucky enough to have a buyer that is an interior designer, that’s great. 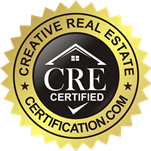 Unfortunately, most buyers don’t have the visual creativity to imagine how a space can be decorated. 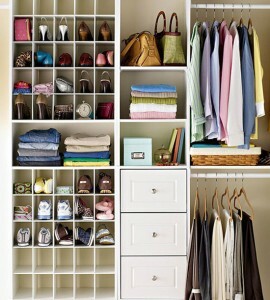 Make sure the furniture is to scale.
. Organize your closets. Closets should be organized. If you have too many clothes, box some of them up and bring them to a friends house. The buyer needs to think that they will have enough space for their things, even if they won’t. It’s all about perception.
. Any simple touch-ups. This can include paint, to fixing a doorknob. Fix any little things that are wrong with the house.
. Replace outdated fixtures. If the doorknob is circa 1990, replace it.
. Put rooms back to their original uses. If you have converted the guest bedroom into the office, change it back.
. Turn the bathroom into a spa. Have fresh towels and fresh soap. The best color choice here is undoubtedly white. Think: hotel.
. Make the living room inviting. Like mentioned above, try to add plants, or nice throw pillows and toss a blanket over a chair. Let the buyer envision themselves curled up by the TV, or reading a nice book on the sofa.
. Put out fresh baked cookies. This will let the buyer correlate the home with positive feelings. Smells make an impact on perceptions.
. Highlight focal points such as bright pillows. 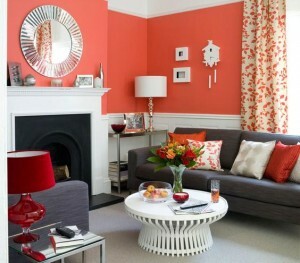 Bright pillows can add character into the home. You don’t need to spend a lot. There are lots of places to purchase cheap throw pillows that still look nice.
. Boost the curb appeal. Weed where necessary, fill in any patches of grass, toss dead or wilting flowers, and be sure to plant new ones. You should try to add some “pops” of color into the lawn. If you’re on a budget, the best thing you can do is to at least make the front entrance look spectacular. The first impression is the only impression.